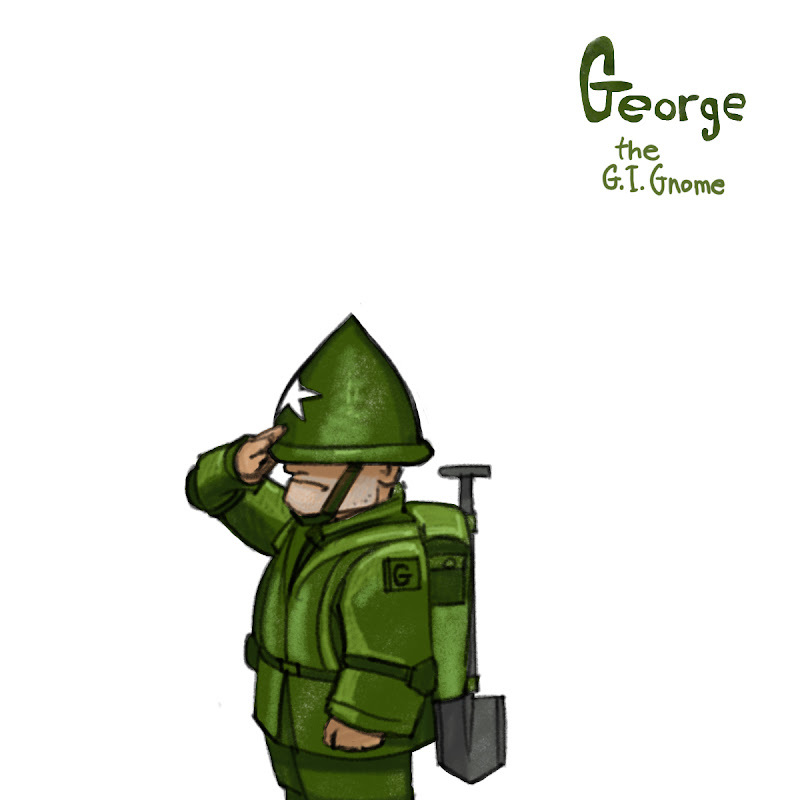 "George the G.I. Gnome" for Sarah C. Only a few more gnomes to go! And my verification word is "chinnes". The Interblog works in mysterious ways. My comment a few days ago didn't stick! I love George! I'd been waiting for him. These Gnomes would make awesome T-shirts.